On the more serious side of things, the 32-year-old Monfils hit 11 aces and saved six of seven break points against Tsonga, who was playing in only his second tournament since undergoing left knee surgery on 3 April. Monfils will next meet Canadian Vasek Pospisil. Top seed Kyle Edmund breezed past Spain’s Albert Ramos-Vinolas 6-0, 6-2 in 56 minutes to set up a quarter-final matchup against Belarusian qualifier Ilya Ivashka, who beat Italian lucky loser Salvatore Caruso 6-3, 6-7(8), 7-5 in two hours, 30 minutes. Second seed Diego Schwartzman of Argentina knocked out Edmund’s countryman Cameron Norrie 7-6(1), 6-7(3), 7-5 and will next meet France’s Gilles Simon. John Isner as a father wins a lot like John Isner as a married man without kids. The top American won his first match on Thursday since becoming a dad on 15 September. Isner beat countryman Bradley Klahn 7-6(2), 6-7(5), 7-6(5) to reach the Intrum Stockholm Open quarter-finals. The No. 1 seed hit 31 aces, won 80 per cent of his service points and never faced a break point to advance past Klahn for the second time in the past three months (US Open). Isner improved to 3-4 in decisive-set tie-breaks this season. “It was extremely tough. I didn’t think it was going to be that tough but who knows, I think I needed a match like that to try to get me going,” said Isner, who was playing his first tour-level match since losing in the US Open quarter-finals on 4 September. The 33-year-old is looking to make up ground in the ATP Race To London this week. 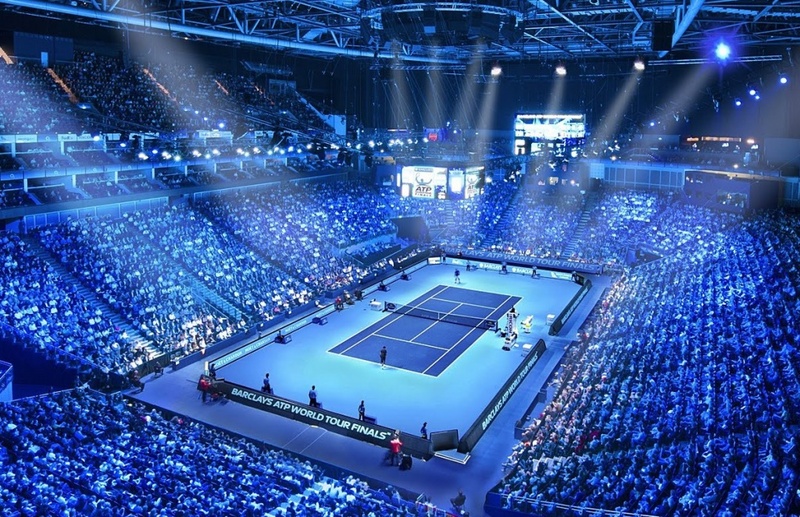 The 6’10” American is currently in 10th place in the Race; the top eight qualify for the Nitto ATP Finals, to be held 11-18 November at The O2 in London. Isner has 2,975 points, 560 points behind eighth-placed Dominic Thiem of Austria (3,535). Isner will pass ninth-placed Kei Nishikori if he reaches the Stockholm semi-finals. In the quarter-finals, Isner will face compatriot Tennys Sandgren, who defeated German Oscar Otte 7-6(4), 3-6, 6-3. Sandgren had never reached a tour-level quarter-final before this season, but the American moved into his fourth of the year. If the 27-year-old springs the upset against World No. 10 Isner in their first FedEx ATP Head2Head meeting, it will be his third victory against an opponent inside the Top 10 of the ATP Rankings this year. 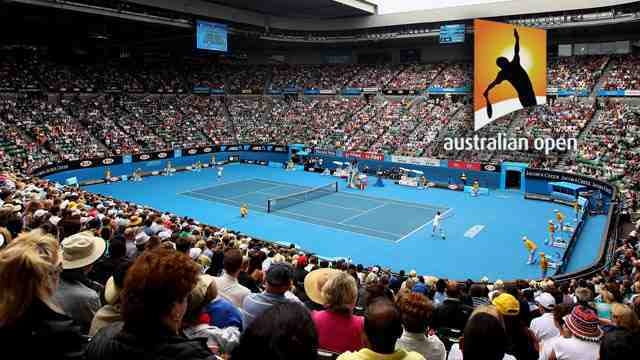 Sandgren defeated Dominic Thiem and Stan Wawrinka en route to the Australian Open quarter-finals. In other action, No. 2 seed Fabio Fognini ousted Slovakian Lukas Lacko 6-4, 6-4 in one hour and 28 minutes to reach the last eight. It has been a strong season for the Italian, who has already claimed three titles. Fognini, who is one spot off his career-best ATP Ranking of No. 14, began the year with five ATP World Tour trophies. He will try to make his ninth semi-final of 2018 when he plays reigning Next Gen ATP Finals champion Hyeon Chung on Friday in the pair’s first FedEx ATP Head2Head meeting. In the final match of the day, Latvia’s Ernests Gulbis beat #NextGenATP Canadian Denis Shapovalov 6-2, 6-4 to set up a quarter-final meeting with fourth seed Jack Sock of the U.S.
Frances Tiafoe’s game has energised tennis fans around the world who are excited about the Next Generation. Now Milan tennis fans will see first-hand what all the excitement is about. Tiafoe almost didn’t even play in what became the best tournament of his life. He forgot to sign up by the Delray Beach Open entry deadline, but tournament organisers gave him a wild card entry, and organisers and Tiafoe were glad they did. Tiafoe won his first ATP World Tour title there in February, beating Juan Martin del Potro, 2017 Next Gen ATP Finals titlist Hyeon Chung, Shapovalov and German Peter Gojowczyk. The American became the first wild-card recipient to win the title in the tournament’s 26-year history, and he became the youngest American champion on tour since Andy Roddick, 19, at 2002 Houston. Hundreds of young ATP World Tour professionals grew up idolising Roger Federer, Rafael Nadal or Novak Djokovic. Not Tiafoe – he spent his childhood praising Del Potro. 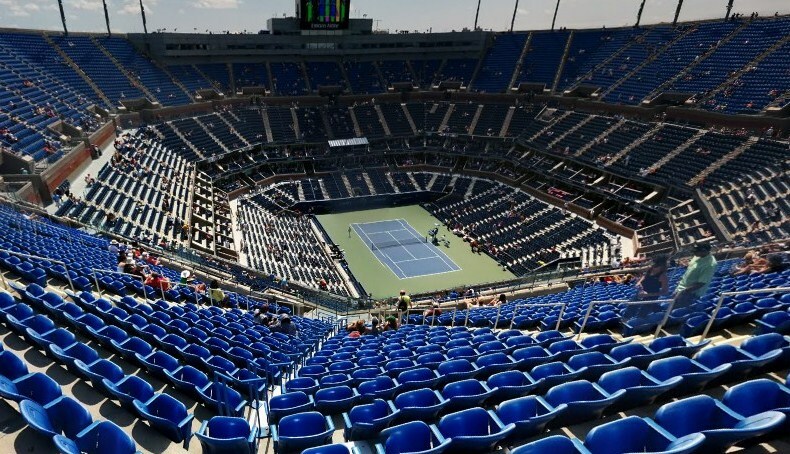 Last year, while talking with ATPWorldTour.com, Tiafoe remembered watching Del Potro at the Citi Open in Washington, D.C., where Tiafoe grew up. “He was my first pro to sign a ball for me. That meant a lot, and he’s always going to be one of my biggest idols,” Tiafoe told ATPWorldTour.com. In May, Tiafoe reached his second ATP World Tour final – and first on clay – at the Millenium Estoril Open, falling to home champion Joao Sousa. The 20-year-old Tiafoe became the youngest American to reach an ATP World Tour final on European clay in nearly 30 years. Former World No. 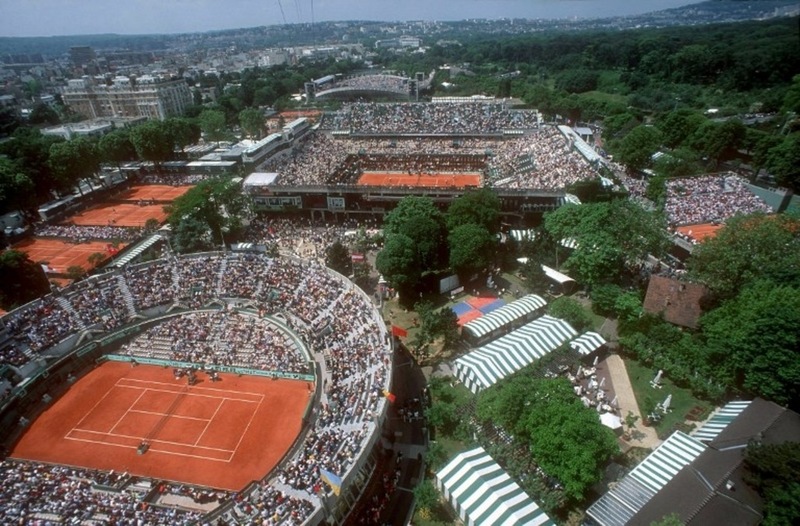 1 Andre Agassi was only two months younger when he made the 1990 Roland Garros final. 4. His Parents Immigrated To The U.S. Both of Tiafoe’s parents, father Frances Sr., and mother Alphina, moved from Sierra Leone to the U.S. in 1996. When Frances was a kid, his father worked at the Junior Tennis Champions Center in College Park, Maryland, and Frances, along with his twin brother, Franklin, would sometimes spend entire days and nights at the club. Tiafoe grew up in Hyattsville, Maryland, just outside of Washington, D.C., and he loves all things related to the DMV (District of Columbia, Maryland, Virginia), especially the area’s pro sports teams: the Washington Redskins (NFL), Washington Wizards (NBA) and the Washington Capitals (NHL). Every year, new faces break out on the ATP World Tour. This season has been no different. Alex de Minaur began the 2018 season at No. 208 in the ATP Rankings, with just two tour-level match wins to his name. But the 19-year-old Aussie has taken the ATP World Tour by storm, climbing to his career-best of No. 31. Not only did De Minaur qualify for the Next Gen ATP Finals, to be held in Milan from 6-10 November, but the teenager has become a consistent threat week-in and week-out. De Minaur reached his first two tour-level finals at the Sydney International and Citi Open in Washington, D.C., and he also claimed his maiden ATP Challenger Tour title in Nottingham. Ugo Humbert’s second ATP Challenger Tour title came at the perfect time, as Humbert rode the momentum of his victory in Ortisei, Italy, into the Top 100 of the ATP Rankings on 15 October. It’s an impressive rise, considering the 20-year-old Frenchman owned just five main draw Challenger match wins before beginning the Gatineau Challenger in July. After starting that event as the World No. 257, Humbert won 23 of 27 Challenger matches to soar to a career-best ranking. Humbert earned his first two tour-level match wins in the past two months, qualifying for the US Open, where he advanced to the second round, and defeating Bernard Tomic at the Moselle Open in Metz. This time last season, Poland’s Hubert Hurkacz was outside the Top 400 of the ATP Rankings. But the #NextGenATP 21-year-old has combined strong efforts at tour-level as well as the ATP Challenger Tour to soar into the Top 100, reaching a career-high No. 88 on 15 October. Hurkacz claimed his maiden Challenger trophy in Pozan, Poland, and also advanced to the final in Zhuhai, China, earlier in the season. The Pole has tallied six tour-level match wins in 2018 after beginning the year with just one. Michael Mmoh has found the best form of his career in the second half of 2018, propelling himself into the Top 100 with success at both tour-level and the Challenger circuit. The 20-year-old American advanced to his second ATP World Tour quarter-final (also Brisbane in January) at the Abierto de Tenis Mifel presentado por Cinemex in Los Cabos before going on a tear at the Challenger level, winning back-to-back titles in Columbus and Tiburon, both in the United States. While Mmoh remained between No. 140 and No. 200 in the ATP Rankings from November 2016 and April 2018, his surge helped him crack the Top 100 for the first time on 1 October. All six of Mmoh’s tour-level match wins have come in 2018. Jaume Munar joins Mmoh as players in this group to lift back-to-back ATP Challenger Tour trophies in 2018. And not only did the Spaniard triumph in Prostejov, Czech Republic, and Caltanissetta, Italy, but he carried that momentum even after he broke into the Top 100 on 18 June. Munar made his maiden ATP World Tour semi-final at the Generali Open, where he lost to eventual champion Martin Klizan. The Spaniard then won two matches at the Winston-Salem Open, including a victory over fellow #NextGenATP competitor Andrey Rublev. British number one Johanna Konta reached just her second WTA semi-final of the year by beating Aliaksandra Sasnovich in three sets at the Kremlin Cup in Moscow. Both players had chances in a tight decider before Konta prevailed 6-2 2-6 7-6 (7-2) against the world number 31. The victory takes Konta, who has dropped to 44th in the world rankings, into her first semi-final since June. Anastasia Pavlyuchenkova or sixth seed Daria Kasatkina await in the last four. Konta, 27, split with her coach Michael Joyce last week and is working with Dimitri Zavialoff, a former coach of Stan Wawrinka, on a trial basis in Moscow. She earned an impressive win over world number 16 Elise Mertens in the opening round and followed that by beating Daria Gavrilova in round two. Against Sasnovich she raced into a one-set lead by winning four consecutive games from 2-2 but lost her opening service game of the second set with the Belarusian clinching it on her ninth break point of the game. Sasnovich then comfortably levelled at one set apiece before both players failed to take break points early in the deciding set. In the tie-break, Konta hit a fine backhand winner to move 4-2 in front and won the following three points to seal victory. The “vast majority” of coaches break on-court coaching rules and allowing it would help “attract new people” to tennis, says Serena Williams’ coach Patrick Mouratoglou. On-court coaching is banned in Grand Slams but is allowed in WTA events. Mouratoglou admitted coaching Williams during her dramatic US Open final loss last month with Williams later docked a game for calling the umpire a “thief”. The Frenchman says on-court coaching “adds to the drama” of the sport. In a lengthy statement, Mouratoglou also said that banning coaching “almost makes it look as if it had to be hidden, or as if it was shameful”. “It is time tennis leaders amend the status of coaching,” he added. 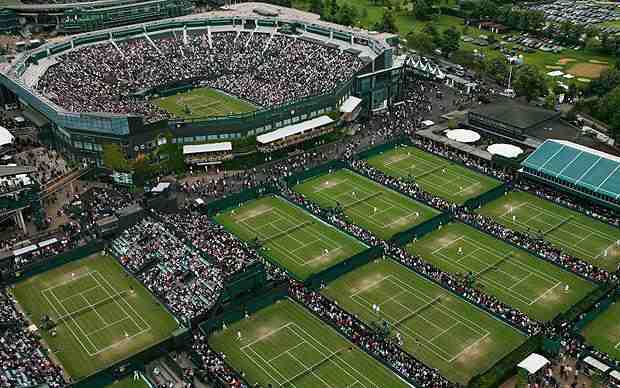 “If we don’t get people involved, then tennis is only ever going to be followed by pure tennis lovers. “We need to show the viewers the personalities of the people they are watching. Williams received a code violation during the US Open final defeat by Naomi Osaka when Mouratoglou made a hand gesture to the American but she denied she received coaching. Last month, Wimbledon said it was open to a discussion around its approach to on-court coaching, which is not allowed on the men’s ATP Tour. “It’s a very basic truth that the vast majority of tennis coaches are actually coaching on court, despite the rules,” Mouratoglou said.